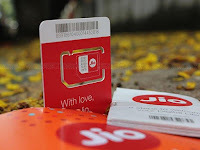 How to check the Reliance jio 4G tower network signal coverage in your area.Reliance Jio 4G tower network signal coverage in your area. Reliance Jio is now Have 5 Million Customers because of their exclusive offers. They call them self has open network. That means they will provide the all network signal list. So you can easily find all the Towers in Your area. But Airtel India is already implemented the Open Network So their existing user or New user who willing to buy Airtel sim they can easily find out where the network coverage have in their areas. Now Reliance Jio has also come with same idea because this is another way to increase their customer count in rural areas and a service name called Smart Coverage map. Here is the List of features for the Smart Network City Area Coverage map. Reliance Jio Smart Coverage makes users easily to identify the 4G mobile/broadband network coverage across india. This map idea is very similar to the airtel Open Network. 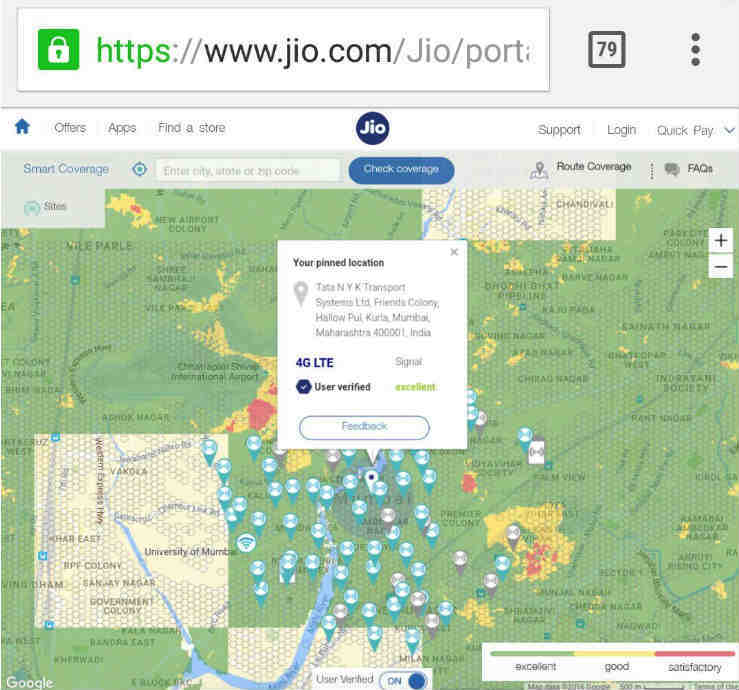 Because of this Smart Coverage map you can view the whole Jio sim tower 4G network coverage in your local area/city/state and its very user friendly to use. As i Said Earlier it is similar to airtel open network so You can check your Jio mobile network coverage from official jio website. For accessing the network coverage You need to login to the your Jio account in website with your registered Jio mobile number and password for getting the Smart Coverage map. Also you can Know the signal network information like quality of Reliance Jio network bandwidth, signal strength spectrum range. For getting the Accurate smart network map details of your current location you need to turn on GPS in your Smartphone if your login with your mobile phone then if your logged in with desktop/laptop then that will automatically ask the permission for getting the current location in your desktop/laptop you just need to allow or block. The best things is you can Get to the outdoor as well as indoor coverage areas. So Outdoor coverage area means the operational tower networks in your area. In Indoor Coverage you can find the small towers from inside the buildings, malls ,shopping complexes. Check your Jio Wi-Fi Hotspot coverage signals too. Also same as 4G tower, wifi hotspot also have Indoor buildings network smart coverage as well as Outdoor On-Air coverage locations where the network is currently under installation. If your area have low signal then you can Submit your feedback also in Jio Portal about the Jio network signal coverage in your area from the website. If that is possible then they will extend the network results from verified users using the Smart Coverage map. Right now, this map is in the beta stage. PREVIOUS POST Previous post: Where to buy and sell house?